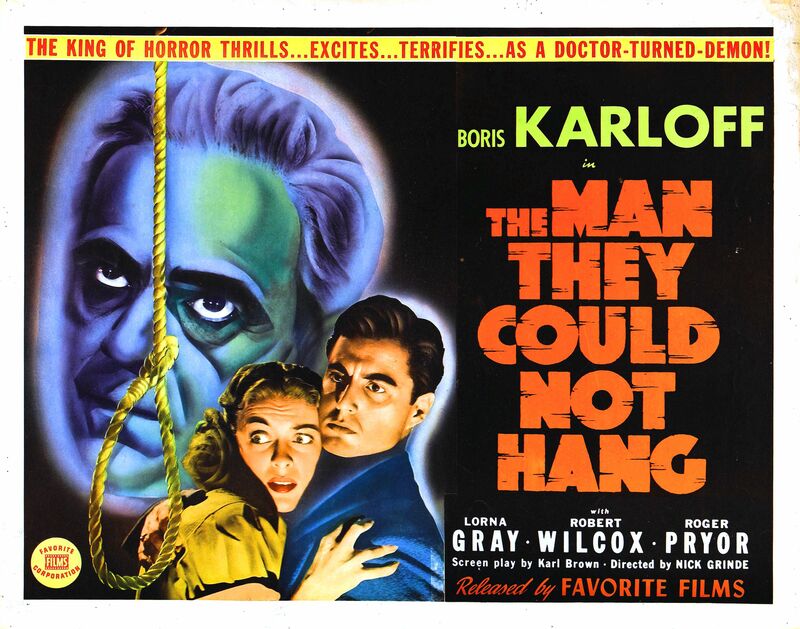 A doctor (Boris Karloff) experimenting with a radical form of surgery is captured by police after temporarily putting his student (Stanley Brown) to death; unwilling to believe that he meant no harm, a jury sentences him to death by hanging. 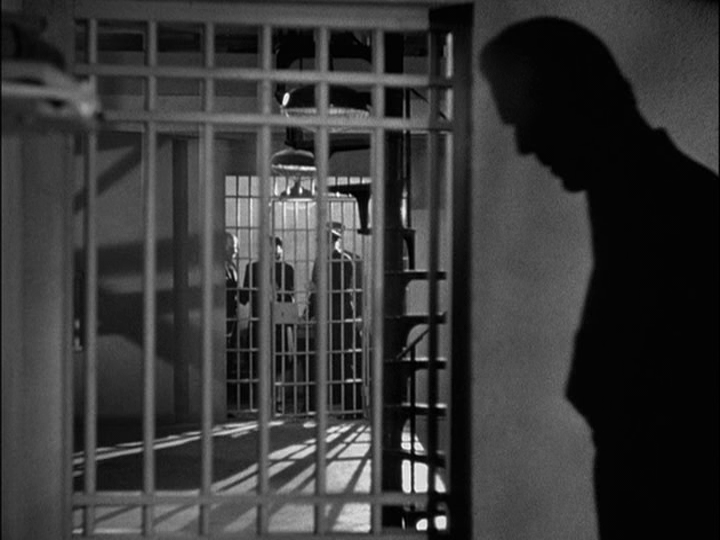 But Karloff’s assistant (Joe De Stefani) resurrects him using Karloff’s own methods, and soon Karloff begins seeking revenge on those responsible for his death. As noted in my review of The Walking Dead (1936), Boris Karloff was cast in an ordinate number of B-level “living dead” flicks after achieving fame as the Monster in Frankenstein (1931); in The Man They Could Not Hang, he plays the “mad doctor” rather than the subject of experimentation. 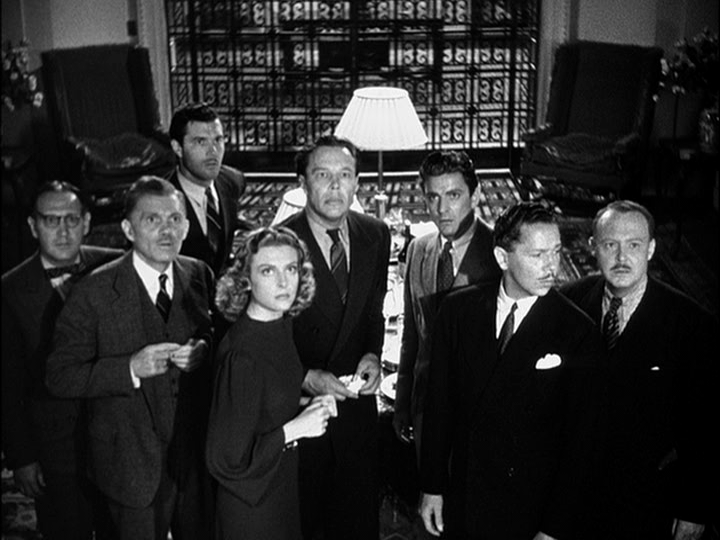 The first half of the film — in which the premise is established, and characters are clearly divided between Sympathetic and Unsympathetic to Karloff’s cause — is rather standard fare; it’s not until the second half that things really kick into high gear, as the resurrected Karloff calls together all the remaining individuals who have wronged him, and proceeds to cause their deaths one by one. This section is nicely handled, and makes the film as a whole worth a look; otherwise, this one is strictly must-see for Karloff fans. No, though it’s worth a look simply for its tense second half.